Modern casthouses require equipment that remains operational almost 100% of the time: equipment maintenance and upgrading must have as limited an impact on production as possible. 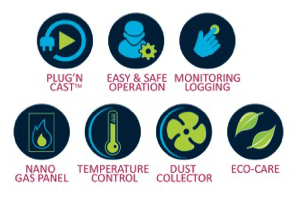 To meet this need, the ALPUR®G3 unit, thanks to its the PLUG’N CASTTM concept, is delivered on a platform that is already fully tested so as to reduce on-site installation and commissioning work to a minimum. 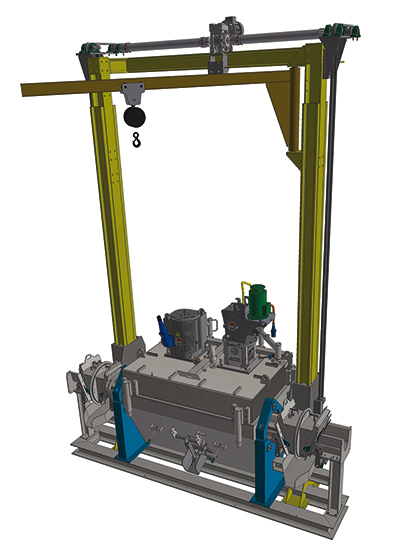 The ALPUR®G3 has benefited from the lengthy experience acquired during the production and marketing of the previous series, providing features such as the rotary injector, incorporating ALPUR® core technology with DS shaft and Screwless rotor, the proven Totally Sealed concept, and the powerful in-situ heating system. Thanks to close cooperation with our customers, new features have been integrated into the machine to make it safer to use and easier to maintain: a new dust collector, temperature control of the refractory lining, an integrated O2 sensor and a compact NANO gas panel. For dedrossing and cleaning operations, sealed opening hatches have also been added to allow safe access to the melt without removing the lid. Operators can also change the heater and the motorization unit easily and quickly thanks to quick connectors. The ALPUR®G3-CC line version has proved to be particularly adapted to continuous casting since the system avoids any interruption in the process. One of the many possible options for the ALPUR®G3 RS unit is the new cartridge Rotary Spout system. For slab or billet casting, with frequent alloy changes, it provides the best combination of strong metal static capacity for an easy start and direct draining into the casting machine without any metal loss at the end. ALPUR®G3-CC line, the one-rotor model, installed on a continuous casting line (RONDAL, Slovenia). Particular attention has been given to the operator interface. 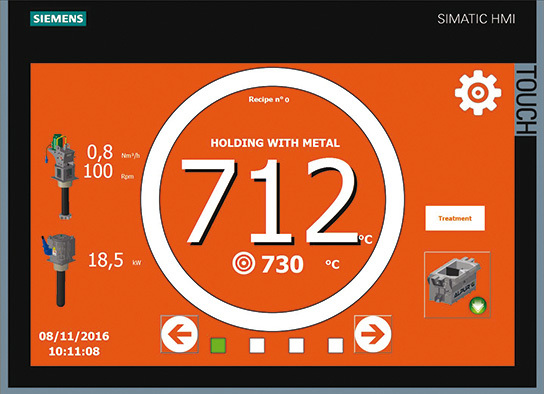 A new touch panel is proposed to make ALPUR®G3 control as easy and intuitive as possible. Only the key parameters appear on the first screen with a view to facilitating control and avoiding any false manoeuvres. All the other specific parameters for processing and maintenance are available with password-controlled access. 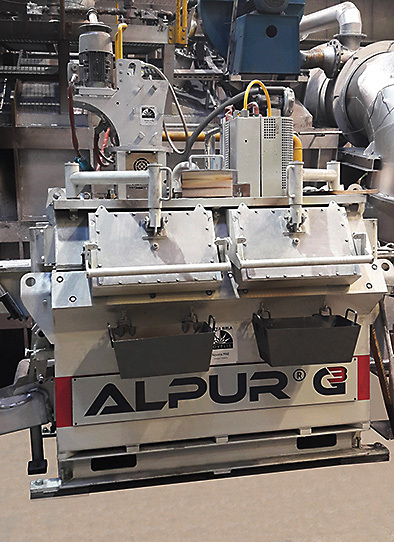 The first ALPUR®G3 unit has been running for more than a year. The results are as promising as expected with a degassing efficiency close to 70 % and a guaranteed metal heating rate of 20°C /h. After several months of operation, feedback from users is excellent. Following the success of this first unit and based on the long-term trust of our customers, six additional ALPUR®G3 degassers with one or two rotors have been sold and will be commissioned soon, thus confirming the expected technical and commercial success of this 3rd generation of ALPUR® units.